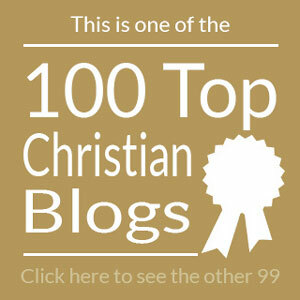 I write this blog to express my heart for God and to serve you, all of your faithful readers. Every few years, I like to find out more about who you are and what you need from a Christian blogger. It will help me improve my writing and this website if you’ll take just a moment to complete this survey. It’s anonymous to allow you to feel free to share your heart! Thank you for taking time to let me in on more about you and thank you for your faithful, kind support. I enjoy your blog, Lori. Thank you for investing in your readers the way you do. You’re very much a blessing. Lori, I believe that I have been blessed by all of your material. Meat is not that common in the Christian community and I always get a good meal with your writing. The Lord has made me an apostle and I desire the deeper things of Him. He is a wonderful teacher and communicator and builder. The Love in my heart rejoices with Truth whatever the source and I really do enjoy your blog because of Truth you release through it. I also enjoy your humility which really helps you be a clean channel for the Truth and His Love. Blessings! I appreciate your blog so much. Your thoughts always touch my heart. Just continue to share your insights as God reveals them to you! I think men and women respond differently to your posts. My wife and I both love reading you. But she likes the long, warm, fuzzy ones and I like the ones that tell me what you’re going to say, say it, and then tell me what you said, and done. It’s a strange thing but more often than not your messages seem to be quite timely, not so strange really as The Lord knows just what we need at what given time. Lori you have a God given gift of communicating reality, not some unreal airy fairy unobtainable view point on how life should be as a Christian. Your blogs are refreshingly real, believable, optimistic, challenging, hopeful, reassuring and best of all l love them and often share them. So now I’ve commented can l simply say once again ‘ Thank you ‘. Wow! Thank you. My heart is deeply touched.